ARRI have officially announced the pricing of their upcoming Amira documentary-style large sensor camera which we covered in detail at IBC in Amsterdam. Orders are now being taken and prices for the camera start at $39,999 US. For this, you get the entry level version of the camera complete with electronic viewfinder (EVF), capable of shooting ProRes 422 in the Rec709 colour at up to 100 frames a second (fps). Beyond this there will be tiered packages which add features via software upgrades that can either be temporarily licensed or purchased permanently. The advanced set has Log C recording, ProRes 422 (HQ) at 200 fps, in-camera grading and a pre-record function. A premium set offers ProRes 4444 and 2K recording at up to 200 fps and custom 3D lookup tables (LUTs) to allow precise control of colour. Pricing for these software upgrades has not yet been set but at least one dealer in the UK has published pricing that puts a considerable premium on the two upgrades. We believe that the $39,999 US price (correction €25,980 price) does not include any lens mount, battery plate, microphone holder or the sliding shoulder pad. These are all optional accessories that must be purchased at extra cost. A PL mount with lens data (LDS) support will be available at launch. Canon EF mount and a B4 ENG lens adapter will also be forthcoming but prices for all are currently unannounced. I don’t expect any of these to be cheap. According to ARRI’s press release, delivery of the camera is set to begin in the second quarter of 2014. IBC 2013 – News Shooter with Arri from Teradek on Vimeo. I’m sure that the Amira is going to be really nice to use and the images will be fantastic. In essence it’s an Alexa with a few features removed, squeezed into a smaller body with neutral density filters and full on-board audio controls; there is little not to like.The movable shoulder pad and EVF mount no doubt make it a great camera for running and gunning. Lens adapter choices, REC709 colour and SDI output make it a real alternative to a traditional ENG camera for many shooters. Shooting straight to ProRes is great too. AMIRA Showreel from ARRI Channel on Vimeo. Would I buy one? I’d love to own one but I can’t justify one for the kind of work that I do. If Amira and Sony F55 were the same price and I had to buy one tomorrow I would probably buy an Amira. For me it’s too late though; I’ve already bought a F55 and I’m very happy with it – more importantly, so are the people who pay me. It is cheaper than the Amira and has several key features I feel are missing from the Amira. The differences and fabled ARRI colour science are great but not enough to make me pull the pin. I’d say it is too late for a lot of other users too. 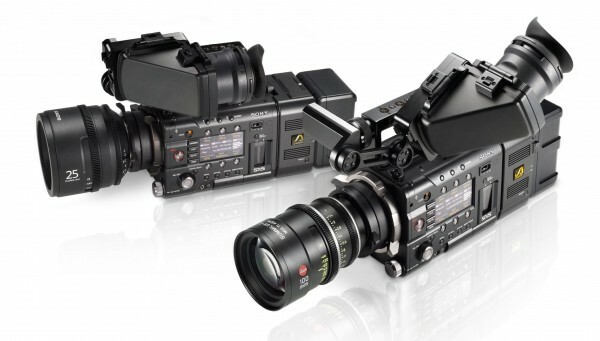 Many shows and operators have already adopted Sony’s F5 and F55 and ARRI are late to the party. Just look at the Emmy award-winning CNN show “Anthony Bourdain parts unknown” shot by DP Zach Zamboni – would the trouble of switching to Amira really make sense when the F55 and F5 are working so well for them? The massive push towards 4K may also deter some folk from buying into Amira – this, despite the fact that most will never actually shoot a paid job in 4K anytime soon. 4K isn’t coming any time soon for news, current affairs or broadcast documentary and so the Amira’s lack of 4K shouldn’t be a deciding factor. But rightly or wrongly, the 4K seeds of doubt have been placed in buyers’ minds and the competing cameras are mostly 4K ready. But what about ARRI’s famous image quality? Wouldn’t that do it for me? Honestly, I don’t think it is going to matter unless you are going to the big screen – on TV, after a ton of compression for HD broadcast, I think you struggle to tell the difference between Alexa/Amira, C300, C500, F5 or F55. All the main competitors when you reach a certain price/performance level are good enough to create results that have a ‘wow’ factor – just look at Shane Hurlbut’s work with the Canon C500 on Hollywood movie The Need For Speed. If you have good camera work and a good colourist then most viewers probably won’t be able to tell the cameras apart. Camera nerds and pixel peepers will notice that it looks like Alexa, but who cares – 99.9% of the people watching will not know any better. ARRI’s pricing structure is a little strange to me – I don’t see people buying a camera of the Amira’s calibre to be content only shooting Rec709 ProRes and 100 fps. I know that you can buy temporary licenses for high speed and Log C – but at what cost? This makes the Amira configuration I would want considerably more expensive. My F55 has all the codecs I require built-in at one price. Sony’s media is cheaper too – I can use simple SD cards in an adapter if I just need 50Mbps (still the broadcast spec for most TV stations). Of course it shoots 4K, but for me the main advantage of the 4K sensor is the ability to use it in HD Super 16 crop mode – effectively giving me a 2x tele-convertor for free and allowing the use of S16 lenses. The cheaper F5 does most of what the F55 does. It is probably the best price/performance camera out there right now and is gaining popularity with many shooters. Canon C300 continues to be the budget-limited broadcast doc-makers go-to camera; the Amira is going to be a much more expensive rental or purchase than either the F5 or C300. If I were an owner-operator I wouldn’t buy an Amira unless a ton of my clients suddenly requested it. So what good reason is there to go for an Amira? I know high end factual TV shows in Australia are already looking at it because their camera operators can easily switch from ENG operation on Sony F800 or F900 without having to learn too many new tricks. The familiar feel and operation of the camera, combined with the desirable film aesthetic, is reason enough to go for an Amira. The ProRes workflow is another benefit some will be prepared to pay for. Gone are external recorders and transcoding of clips. All footage is in a nice edit-ready form – simple. Most of the buyers of this camera will be the lucky ones who have the budget to use pretty much any camera they want; those at the very top end of factual programming. 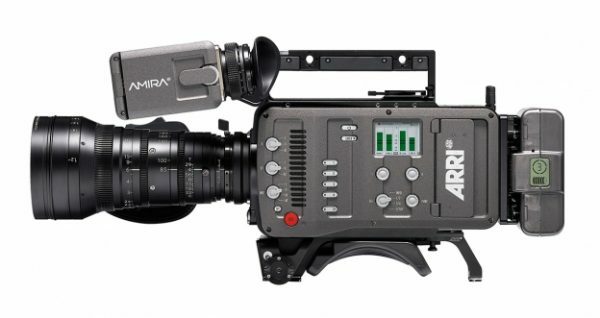 I would also place bets that the Amira will be used a lot in narrative filmmaking as a B-cam to Alexa, or even A-cam on some dramas. Arri have done their homework and I’m confident the Amira will sell and sell. It will probably be back-ordered for a long time and the price, although high, is right for them. I just won’t be buying one any time soon. You can read the full press release from ARRI hosted by Abel Cine here.